The next-gen Copen is a car that won't make it to Europe, but it's still a car that I really look forward seeing it. 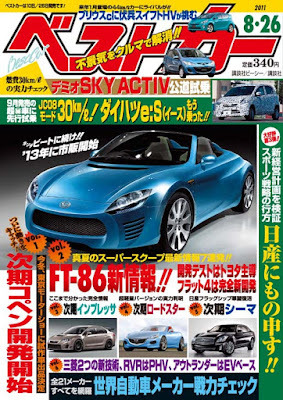 In the past, it was reported (earlier post) that the new model will be launched in 2014, although Best Car seems to claim that it's going to be during 2013. In any case, on the front cover you can see the latest rendering of it! It would be great if that's available outside Japan. Toyota could sell it where there's no Daihatsu dealers.